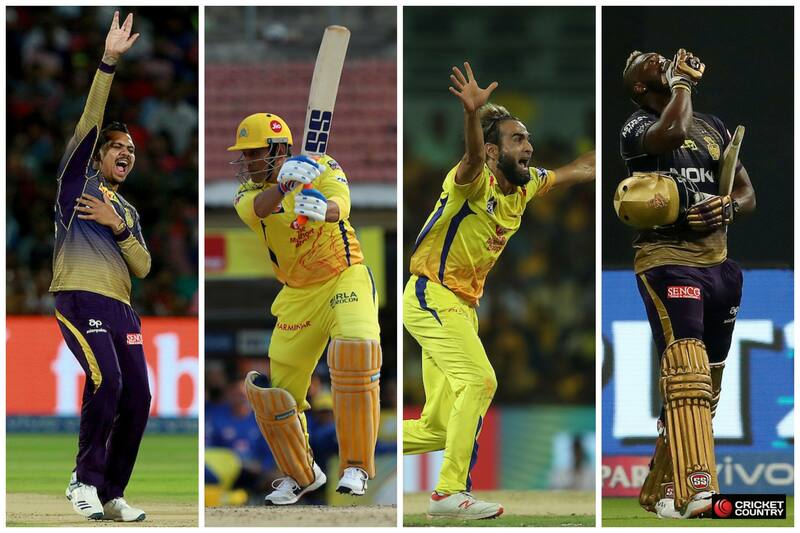 Dhoni vs Karthik, Dhoni vs Narine, Russell vs Tahir and other talking points ahead of CSK vs KKR. 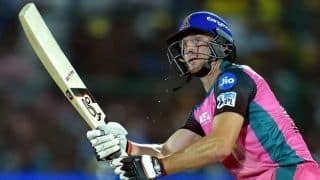 Game 23 of the 2019 IPL sees Chennai Super Kings face league-leaders Kolkata Knight Riders in Chennai on Tuesday. This match pits together the top two teams of the league, who each have eight points after five fixtures. How can CSK stop Russell? All four of his innings have been mighty impactful, most stunning his last one: 48 not out off just 13 balls (strike-rate 369.23) to take Kolkata to a scarcely believable chase of 206 with five deliveries to spare. How do you stop a man in such form? Chennai may or may not have the answer, and so much depends on the type of pitch at the MA Chidambaram Stadium. It has aided spin so far, and thus MS Dhoni may have to target Russell with spin. Virat Kohli erred by feeding Russell pace over the weekend, which resulted in the allrounder teeing off for fun. Is Tahir the man for Russell? In such times, when opponents are searching for ways to shut down Russell, Tahir looms as a huge figure. Of course, it isn’t without risk given Russell’s form. Dhoni’s tactical acumen against Dinesh Karthik‘s mind. In the last match between Kolkata and Rajasthan, Karthik’s choices of bowlers and field placements stymied Rajasthan Royals. Overall, his captaincy in the IPL has been sharp since he took over at KKR and this has helped the team make the playoffs. Dhoni, of course, is an IPL captain par excellence and this match pits the pair together. How Karthik operates his bowlers against the struggling Chennai top order and versus Dhoni, at a venue he knows very well considering this is his hometown, promises to be an interesting subplot. And Dhoni … well his main task is stopping Russell. Will Dhoni break Narine’s hold? In all T20s, Sunil Narine has bowled 74 deliveries at Dhoni from which the CSK captain has scored 38 runs. While Dhoni has only fallen to Narine once, his struggles to dominate the West Indian spinner is an aspect that Karthik should look to exploit. This season, Dhoni is Chennai’s leading run-getter with 156 from four innings, three of which have been unbeaten. His strike-rate? 124.80. Watch closely how he goes against Narine, who has yet to hit top gear in the competition.